We get it!!! Kids will lose their retainers no matter how many times we warn them about dogs and wrapping them up in napkins at lunch. So we developed the Summer Barista Program. Patients can be a barista for the day and it will help defray the cost of a new retainer. 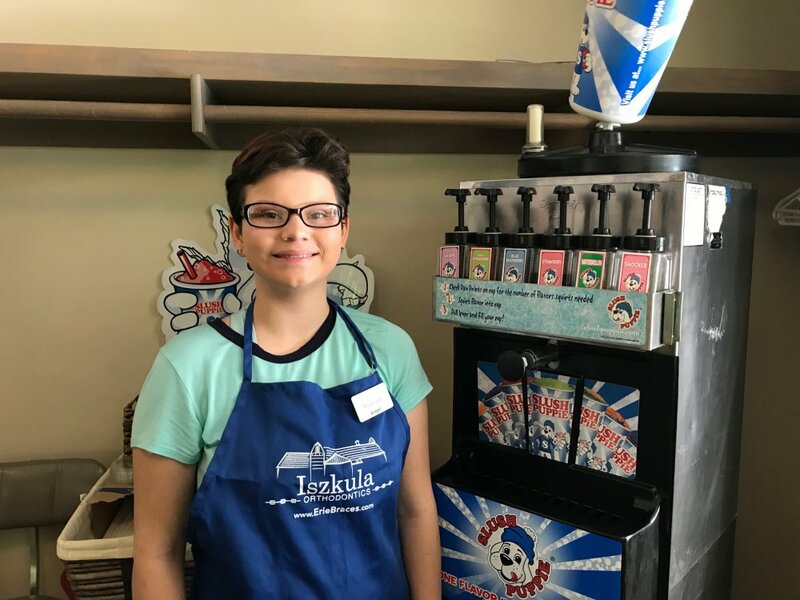 ANgel was our first barista and she had a great time making coffee and helping with the slushie machine. If you would like more information about this program call our office at 814-833-5322.